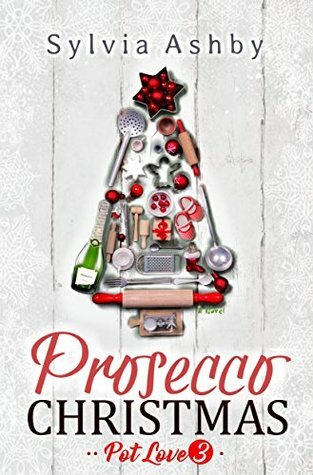 Prosecco Christmas is the 3rd book in the pot love series, and my second catch up with Ashley & Giacomo as there life changes big style. With christmas round the corner and a baby not far behind, Ashley is ready to spend a bit of time with the family (even though it will be an experience!) but her little baby has a different idea and when she goes inton labour on christmas eve it throws everything up in the air, her plans, her youtube channel & then when Giacomos family decide they have to meet their first grandchild, how is everyone going to make it out the other side?! Prosecco christmas was a lovely light hearted read that was perfect for me as im basking in post christmas blues, it warmed me back up and made me fancy a glass or two of cold prosecco. Ashley is a lovely character who is flawed but natural and i was glad to be back in her company. Giacomo is one that makes you swoon slightly, because he is just so lovely, and wants to help everyone and everything. I read this book post christmas but it still works, i feel like christmas is the backdrop for all the drama and family tensions but it worked. I feel this could be read as a standalone as well - its nice to have prior knowledge of the family but there is plenty of explanations of previous dramas that mean you dont feel you are missing out. If you are after a light hearted easy read that lifts your mood then this is the perfect pick me up.